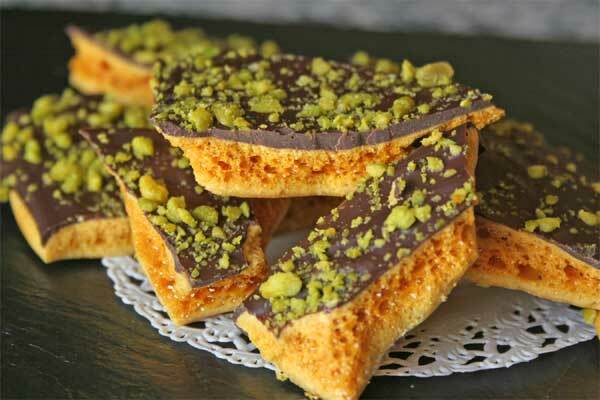 This recipe for Chocolate and Pistachio Honeycomb has been reproduced courtesy of Walnut Grove Cooking Vacations run by chefs Maynard Harvey and Emerson Farrar . . . two modern chefs who use the freshest ingredients with an emphasis on distinct flavours and clean, meticulous presentation. On one of their cooking vacations their passion and enthusiasm for cooking will stimulate your own love of food, and their expertise will help you gain confidence and perfect your cooking skills and techniques in the kitchen. 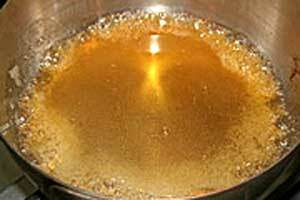 In a small saucepan melt the sugar and golden syrup and boil until it is a light caramel colour. 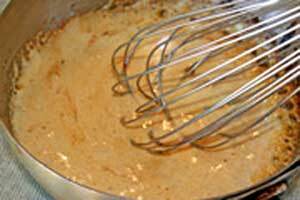 Remove from heat and add the baking soda, whisking to ensure there are no lumps of soda. The mixture will froth up. 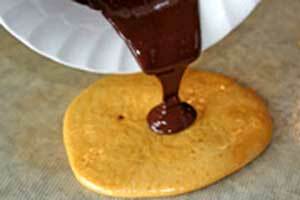 Pour mixture onto a baking mat and leave to cool. Melt chocolate in a bain marie (put chocolate in a bowl on top of a saucepan of boiling water) then pour over the cold honeycomb. 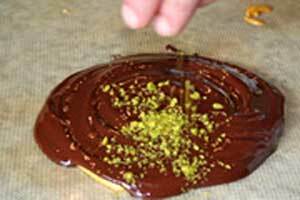 Sprinkle the chopped pistachio nuts onto the chocolate while it is still melted so that it sticks to the chocolate. When the chocolate is set break into pieces and eat! Needs to be made an hour or so before you want to eat it. It will keep in an airtight container for up to a day. Can be used as a petit four, or as a sweet treat when you need one. Can also be folded into a dessert at the last minute, but it will melt so if you do this it does need to be done just before you are going to eat it.